This is the first commission Rahul asked of me to do for his friends’ wedding. This particular piece I had to do in the style of another illustrator that Rahul was presumably associated with. 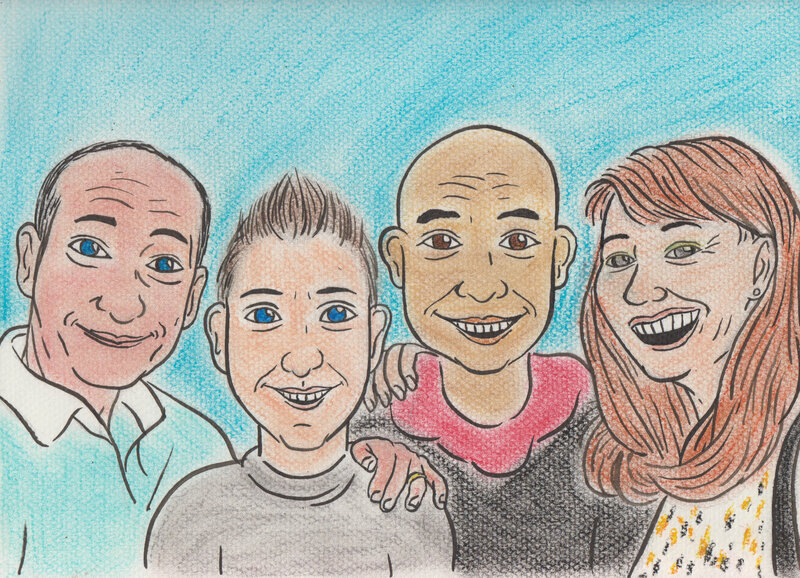 And Rahul wanted me to emulate the image that illustrator had done as close as humanly possible; but with the inclusion of some more of his friends that are in the far left and far right of the image. The chalk style of this one was very easy to replicate, as it seemed to be very simple. The same goes for the ink outlines. For the sake of this image, I made sure to draw it on special pastel paper, and use fixative to keep the chalk from coming off. Both of which I had purchased myself for the sake of this commission. Furthermore, I took the liberty of framing the image as well for maximum quality, and sended it to Rahul’s address. 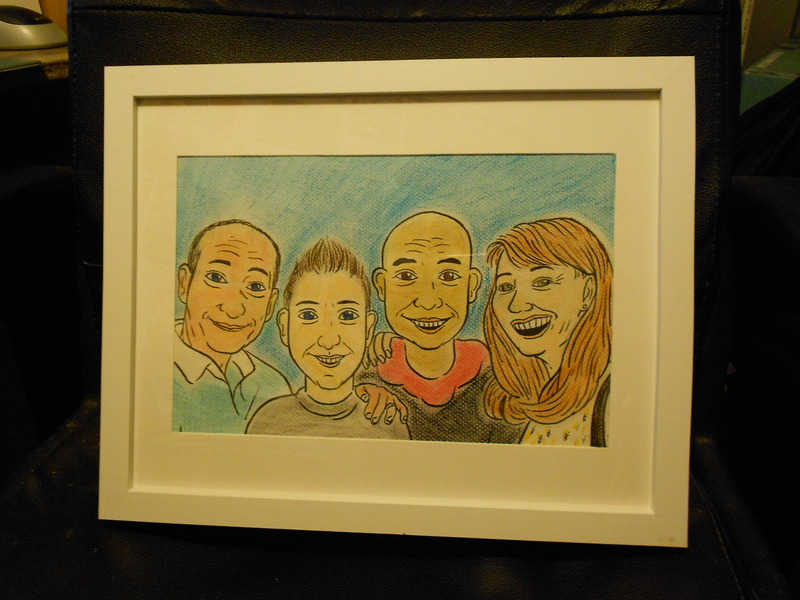 You can view the image of the framed drawing below. 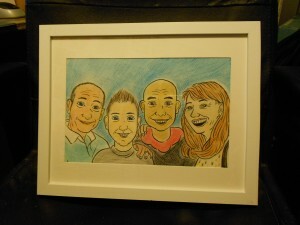 Rahul was very pleased with this commission, saying how I got the style of the caricatures down exactly as he wanted. And he was also impressed by my desire to frame the image which he had not requested at first, but was pleased of me to do so, and even asked for a specific white frame. He was so satisfied with my commission, that he even paid me a bonus.